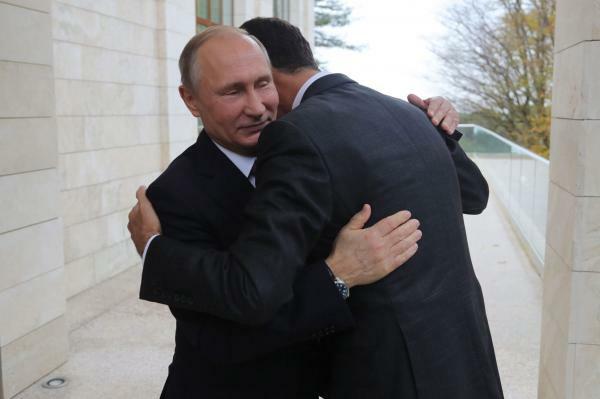 The story about Assad going to visit Putin is here. But that isn't what I want to talk about. Do you see that hug? That is nothing but gratitude. Assad seems to know that if not for the Russians he would be hung on a cross with his head at his feet. But let's put that aside for a minute. Think about all the work the US has been doing worldwide. From Iraq to Afghanistan to Africa and onto Japan, S. Korea and other Pacific nations. Do we get that same amount of thanks? We have troops in Europe with the mission of "reassuring" them and deterring aggression. Only in the Eastern European nations do we see the welcome mat out. Okinawa is a unique situation but look at the troops in S. Korea. Are they welcomed? The only place that I can think of where US troops are welcomed without complaint is Australia. You want to study international relations/military/diplomacy? Study what the Russians did in Syria to get this kind of reaction. When we have allies that are as grateful as Assad then we know we're on the right track.